Computer mice are hands down one of the most important computer accessories. Anybody who uses a computer which is everyone nowadays uses their mouse for prolonged periods at a time for a simple reason: it is used for doing everything. Having been around since graphics computer interfaces were invented, they almost go back to the days when personal computers were just starting out. 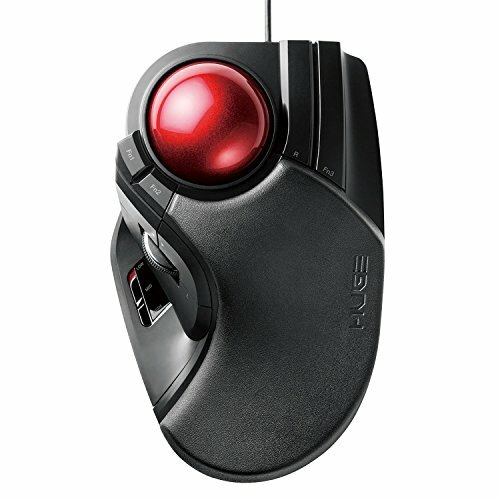 Despite the fact that computer mice are always associated with using a computer and go way back, most people are only familiar with traditional computer mice and don’t know much about the more convenient option: trackball mice. You might also be interested in our article about the best vertical mouse. Those smart gadgets take the mouse experience to a whole new level in terms of comfort and accuracy. Thanks to the innovative trackball technology, you no longer have to move your hand around with the mouse to signal motion. You just rest your hands on the mouse and comfortably use your finger for pretty much every gesture you need to make. As you use your mouse for hours at a time, an uncomfortable mouse can cause chronic hand injury, and that’s where the trackball mice come into play. Now, before you take a look at some of the best available trackball mice on the market, you should first find out the things to keep in mind in order to be able to pick the most that work best for you. Below are the most important 3 things to keep in mind when choosing your new trackball mouse. It’s no secret that people have different hands. If a mouse if comfortable for someone else it doesn’t necessarily mean it’ll be comfortable for you. It is true that some computer mice have a strong reputation for being comfortable and those are generally safe to go with. However, your hand size is something that you always need to keep in mind. 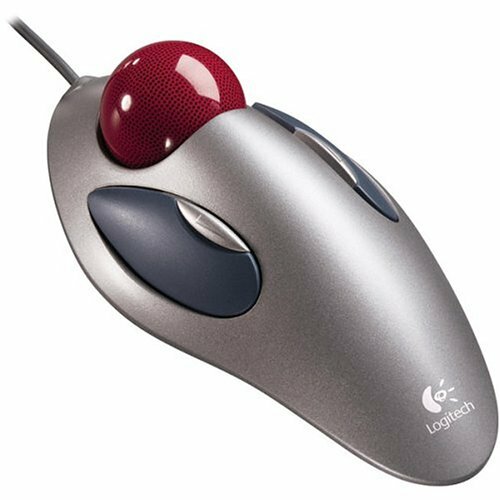 Some trackball mice are larger than the average, which makes them super-comfortable to people with big hands. Even with a great design, a really small mouse wouldn’t be that much of a great experience for big-handed people. Make sure to pick a mouse that is comfortable for your hand, not for other people’s hands. Asides from size, another thing that greatly enhances the overall experience of this mouse is its shape. When it comes to trackball mice, shapes and different scrolling methods isn’t something that they’re short of. Make sure you like the way it’s used before you make a buying decision. Most people need a mouse with just two buttons. However, some people need more…way more! If you’re one of those people who need their mouse to have plenty of programmable buttons, we’ve got good news for you: many of the currently available trackball mice offer plenty of those. Knowing what exactly do you need your mouse for and whether is this an important function or not for your use is really important before you decide on which trackball mouse to go with. This is usually associated with gamers or people who use some extremely complicated software, other than that, more buttons are more of a luxury feature. When it comes to trackball mice operation methods, there are two available options: thumb of fingers. In the case of a thumb-operated trackball mouse, the trackball is placed so it can be scrolled using your thumb. However, if it’s a finger operated trackball mouse, you use –you guessed that right!- your finger to scroll. It might seem like a trivial detail but this is actually one of the most important things to keep in mind when choosing a trackball mouse for a simple reason: it’s irreversible. A trackball mouse that is designed to be operated using your thumb can’t be operated with your fingers and vice versa. Are you a finger or a thumb person? Now that you’re familiar with the most important things to keep in mind when buying a new trackball mouse, let’s dive in to have a look at the best available options that the market has to offer. When it comes to trackball mice, this model truly shines for many reasons. Asides from being manufactured by a reputable company like Kensington, the design of this trackball mouse is simply genius. As this device doesn’t have the shape of a traditional mouse, it works great for both right-handed and left-handed people. As the design of most computer mice is “curved” outwards (usually towards the right side, to suit the majority of people who are right-handed), they don’t really work well for left-handed people. 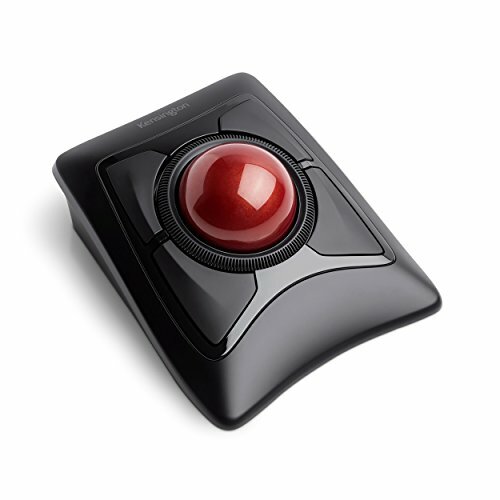 With this Kensington trackball mouse, this is something you’ll never have to worry about. To make using this mouse even more comfortable, it comes with a detachable pad that is used for resting your wrist, which is especially useful if you use the most for prolonged periods of time. The cushion has the right level of softness to it which makes it really comfortable. In terms of performance, this trackball mouse doesn’t fail to impress either. The tracking was extremely accurate and it has four programmable buttons. Another great feature that is worth mentioning about this trackball mouse is the scrolling ring around the trackball. This ring proved to be extra handy for things like scrolling web pages or documents. The only thing that you might not like about this mouse is its shape, as some people prefer the more “traditional” mouse shapes. This is a matter of personal taste though so it didn’t really change our opinion of how great this Kensington mouse is. If you’re a person with large hands looking for a comfortable trackball mouse, this one will definitely blow you away. The size of this thing is really big when compared to the other average-sized trackball mice. If you use your mouse for long periods, your big hands will thank you for going with such a large mouse. In addition to the comfort factor, this mouse is great in terms of customization. With 8 customizable buttons that are conveniently-placed on the mouse, you can simply customize this trackball mouse to meet your specific needs. All of the buttons have a nice tactile feel and provide great feedback which makes them super-comfortable to use. In addition to the customizable buttons, this trackball mouse also has a scrolling wheel to allow for easy scrolling. Thanks to the fact that the trackball of this mouse is really easy to remove, cleaning it will only take seconds. Hard to remove trackballs make maintaining the mouse a nightmare so such feature is such a huge relief. If you’re a person with big hands looking for a super-comfortable trackball mouse with tons of customization options, you’ll definitely love this one. If you’re looking for a great trackball mouse at a budget price, you’ll definitely fall in love with this one. Despite its relatively low price, this trackball mouse was able to exceed our expectation by delivering a very reasonable and solid performance. The first thing that we immediately liked about this trackball mouse is the build quality. The all-black color palette combined with solid build quality help give this thing a premium feel that is far above its price point. With 8 fully-customizable buttons, this mouse definitely doesn’t lack any customization options. We were also pretty impressed when we learned that the buttons on this trackball mouse have cleared the 10 million times clicking test. This test is designed to make sure that the buttons of a device can withstand being clicked 10 million times, which is by all means, lots of clicking! The scrolling wheel is also present in this mouse and is smartly-placed in a way that makes it even more convenient to use. One feature that we really loved about this model is the fact that it has a battery life indicator lamp. Having this feature helps you make sure that the mouse won’t die out on you when you need it most. With such a decent performance and reasonable price, this trackball mouse is a great bang for the buck. 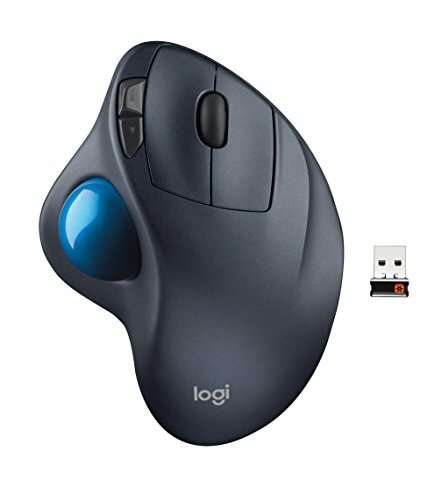 The Logitech M570 is hands down one of the most popular trackball mice models. Having been tried and tested so many times by so many people makes this one of the safest choices for a trackball mouse. 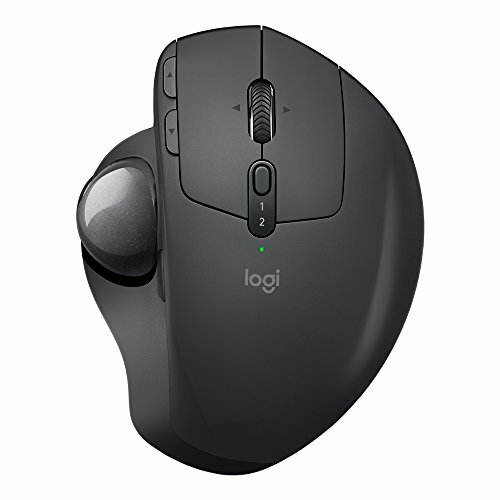 The performance of the M570 was really decent as you’d expect from a Logitech product. The thumb-operated trackball was is really accurate and the whole thing feels comfortable even when used for a long time. This mouse also has a battery life indicator light, which is always nice to have. One thing that makes this trackball mouse really stand out is the range. With a 2.4GHz wireless connectivity that can easily operate from a range that is up to 10 meters, you won’t have any problems using this wireless trackball mouse from a distance. This makes this mouse suitable for relatively larger rooms, like the living room. As it can operate on virtually any surface without needing space like a traditional mouse, it can easily be used from the comfort of your sofa or even your bed. The only thing that we didn’t really like about this model is the fact that it only had 2 customizable buttons. We know that this is more than enough for most users but in case of some of the more demanding power users, this just won’t be enough. From all of the trackball mice that we’ve tried, this is definitely one of the most comfortable models. The Logitech MX ERGO combines a super-comfortable design with a wide array of user-friendly features to create a product that takes the trackball mouse experience to a whole new level. Thanks to the adjustable hinges of this trackball mouse, it can be adjusted with an inclination range between 0 and 20 degrees. By doing so, the muscular strain that results from using the mouse is reduced by up to 20% from that of other models. In addition to the ability to tilt the mouse, the overall ergonomic shape makes placing your palm on it really comfortable. Another great feature that makes this mouse really stand out is the ability to use it to control two mouse-enabled devices simultaneously. In addition to being able to navigate through files on both computers, this mouse also allows you to copy documents from one device to the other, which is a feature that can greatly improve your workflow. As this mouse can operate from a distance that’s up to 32 ft (10m), being able to control two computers at once is an extra-useful feature. By using the Logitech Options software, you can customize your MX ERGO experience however you like it. If you’re looking for a super-comfortable and feature packed trackball mouse, the Logitech MX ERGO is definitely worth checking out. 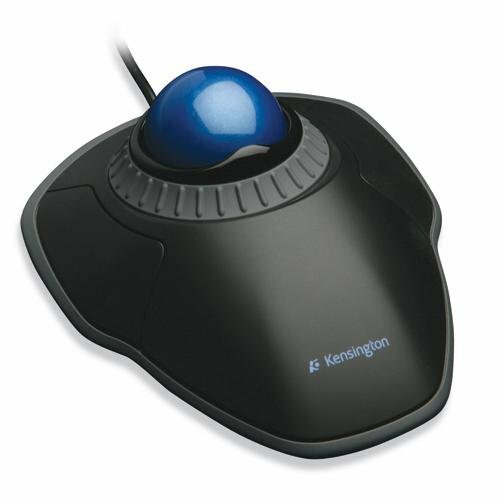 This Kensington Trackball mouse is the ideal solution for professionals who want something that works perfectly, doesn’t overcomplicate things and provides all that at an affordable price. If you’re looking for a “to the point” trackball mouse, this one is definitely the right choice. This mouse has the trackball, two buttons for right and left clicks and a scroll ring, which is everything that a normal user would ever need from a trackball mouse. The scroll ring which is placed around the trackball has a texture that makes it easy to rotate, which is simple yet effective design touch. To make the user experience even more personable, the buttons of this mouse can be customized using the Kensington software which can be downloaded for free. In addition to assigning new program-specific functions to the buttons, this program can be used to customize things like the cursor and scrolling speeds. As for the comfort, this mouse is as comfortable as it gets. The mouse’s ergonomic shape makes super-comfortable to place your hands on. If the comfortable shape alone isn’t enough, this trackball mouse comes with a detachable wrist rest which is really convenient, especially for longer use sessions. Another great feature about this trackball mouse is the fact that its design makes it suitable for both right and left-hand users. Technically speaking, this isn’t a “trackball” mouse as it doesn’t really have a trackball. However, this 3D mouse develops on the trackball concept and reintroduces it in a brand new, super-innovative way. 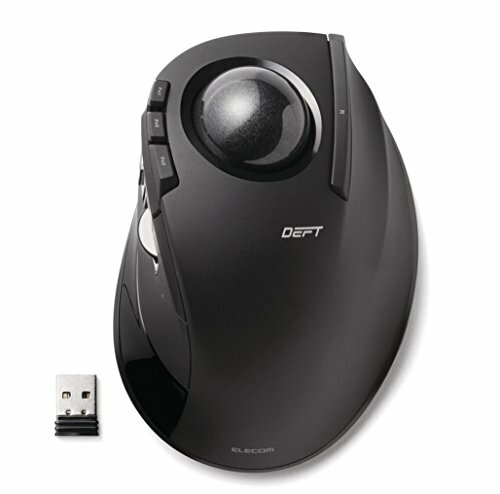 Unlike traditional computer mice and even trackball mice, which confine the movement to the 2D plane, this mouse makes navigating a 3D plane much easier as it is able to move in all directions. If you use any type of 3D program, this feature is a game-changer. As for the design and build quality of this 3D mouse, it is simply mind-blowing. The heavy weight of the brushed stainless steel base of this mouse (479 grams) plays a significant role in making it stable when it’s being used. Thanks to the pressure sensitivity of this 3D mouse, navigating in all directions is as simple as it gets. The blue LED light that shines from the base make this mouse look as good as it feels. When it comes to functionality, this 3D mouse is really capable of achieving so much with so little, which is really impressive considering the intuitive user experience it provides. The two programmable buttons on the side of the mouse’s brushed stainless steel base can be programmed depending on the program with which it’s being used to provide an optimum experience. 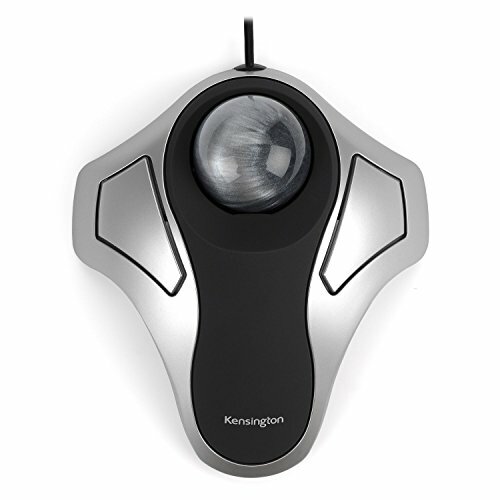 This is another great Kensington trackball mouse that stands out with its spaceship-like design. Despite how good looking that mouse is, this unique shape isn’t just for show. With the trackball located in the middle of the mouse and the two extra-large, customizable buttons on the “wings” of the mouse, which makes this trackball mouse very comfortable and intuitive to use. As the trackball is centered and the whole mouse is perfectly symmetric, this model works the same whether it’s being used by a person who is either a left or a right-handed person. 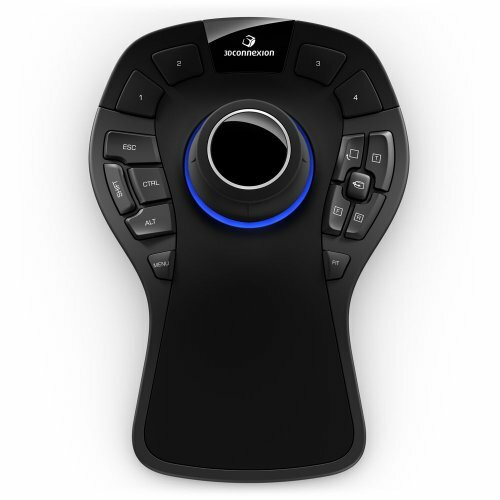 To make the mouse even more user-friendly, the two large buttons can be programmed using the free Kensington software. The buttons are also very tactile which is awesome as they provide a great feedback when pressed. Our only take on this model is that it lacks a scrolling wheel/ring. We simply didn’t understand why it wasn’t there as a scroll ring around the trackball would have fit perfectly around the trackball. It just could have easily fit there and would have made a huge difference. If you’re not bothered by the absence of a scrolling wheel/ring, this trackball mouse is definitely one of the options that are worth considering out there. The Trackman Marble mouse is a trackball with lots of features that makes it great for casual users. By casual users, we mean people who use their computers for everyday activities. The ergonomic shape of this trackball mouse combined with the relatively large size of the trackball makes this mouse really comfortable to use. Being geared more towards the casual user, this mouse has 2 dedicated buttons for going back and forward when browsing the internet. Despite the fact that you can program the buttons of many trackball mice to do just that, having this feature out of the box is really awesome. Not everybody wants to program the buttons of their mice, some people want something that they can just plug and play, especially casual users. The design of this mouse also makes it suitable for left and right-handed people alike, so it suits everyone. Thanks to the patented Marble Optical Technology that Logitech uses for this mouse, it’s extremely accurate and provides a super-smooth scrolling experience on any surface. The only thing that we believe could have made this mouse way better is adding a detachable wrist rest pad. The shape of the mouse makes adding this feature really easy. Some people might argue that the elongated form of the most substitutes for the pad but we felt it would have been more comfortable if a pad was added. 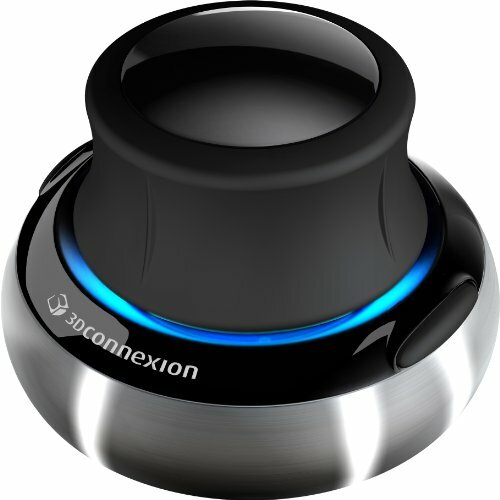 The SpaceMouse is another great mouse from 3Dconnexion that is designed specifically for power users. This mouse uses the same concept as that of the 3DX mouse that we’ve talked about earlier. However, this mouse has way more features that can keep up with heavy use. In addition to the control cap that delivers a natural 3D scrolling experience, this mouse has 15 programmable buttons. Power users can use the mouse’s software to program those buttons in whatever way that best suits their workflow to make it way faster and more efficient. This mouse also has the keys that are regularly used on the keyboard (ESC, SHIFT, CTRL, and ALT), so it can eliminate the need for using the keyboard almost completely from your workflow. This is something that totally sets the SpaceMouse apart from the 3DX mouse. Thanks to the top-tier ergonomics of the pad, using this mouse is really comfortable regardless of the duration. In addition to the ergonomic shape, the finish really feels comfortable to the touch, which makes the overall user experience of this mouse even better. The only thing that we didn’t like about this model was the 3ft cord. We understand that 3ft might be the “standard” cord length. However, we felt that having a longer cord would make using this 3D mouse much more convenient, keeping in mind the type of work that it’s used for. If you’re a person who uses 3D applications frequently, this mouse is capable of transforming your workflow completely. However, if you don’t intend to use this mouse with 3D applications, there are other options on this list that’ll suit you more than the SpaceMouse.